I drove past tavernas filled with tourists looking out over fishing boats bobbing on the blue sea, then down narrow twisting roads through a village filled with traditional stone houses. Suddenly, I saw something that looked like a prison with high walls and coils of razor wire, flanked by shabby tents stretching across the hillside. It sat incongruously amid ancient Mediterranean olive groves in the searing sun. Getting closer, I passed clusters of people walking along the road, often with small children or pushing infants in buggies. Some had draped towels over their heads to protect them from fierce summer heat. Then came the stench of sewage, the rubbish strewn in fields, the families slumped in shade and the Médecins Sans Frontières symbols so familiar from disaster zones. I had arrived at Moria, the squalid refugee camp that shames Europe. 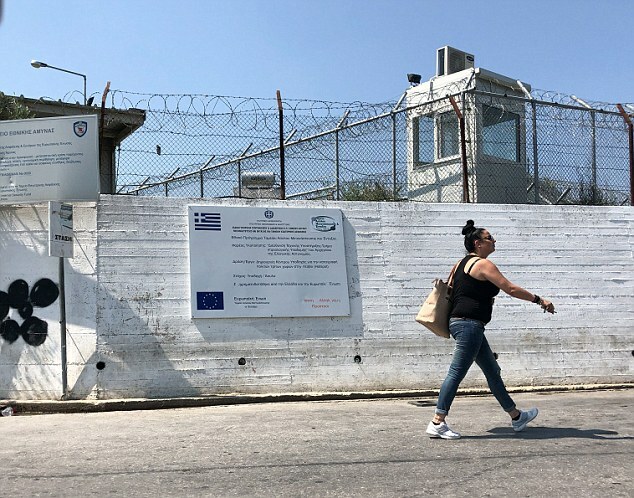 Hidden in the heart of an idyllic Greek island, thousands of asylum seekers are crammed to bursting point into fetid confinement in a former army camp. Some have been here more than two years, literally going out of their minds with boredom, depression and hopelessness. This sprawl of human misery spreads over the hills in makeshift tents made from United Nations tarpaulins like I have seen in places such as Haiti, Kenya and Uganda. There is widespread fear and violence as traumatised people from different cultures are herded together in the most appalling conditions. One despairing Syrian set himself alight earlier this year, while hundreds of Kurds fled six weeks ago after fights. Sexual assault is rife. Many women here say they dare not use toilets at night, some even using nappies, for fear of sexual assault with one case a week reported to MSF. Yet still they come over the water from nearby Turkey, many of them women and children, into what is effectively a trap created by political inertia since Europe does not want these people yet they cannot be returned home to countries torn apart by conflict. Perhaps most disturbingly, this place has suddenly become a model for European policy. For amid the surging tide of populism – most recently sweeping over Italy – fearful leaders have agreed to set up a series of similar camps scattered across the Continent. They cut a deal nine days ago for new ‘controlled centres’ to screen migrants and refugees in member states. But nations do not wants the centres, let alone to accept many of these newcomers – so they remain stuck in frontline countries struggling to handle the flow. And Moria – indefensible on humanitarian grounds – ends up a shocking symbol of Europe’s failure to tackle the immigration crisis. People are simply left to rot on Lesbos while countries bicker over border controls. As I wandered past three layers of barbed wire walls, filled inside with people sleeping up to 26 in a container, then through the tented overflow that has sprung up in adjacent olive groves, the scene looked and smelt like camps I have visited in the poorest parts of the planet. Khan sympathises with Europe’s struggle over migration. Yet he fears being stuck in the camp for many months like his new friend Kashif Mehmood, a 34-year-old from Punjab, who has been here two and a half years attempting to join his brother in Germany. Three years after the peak flows of people over the Continent’s borders, the numbers arriving in Europe have fallen massively following a pact with Turkey. More landed in one week on Lesbos in 2015 than are anticipated to arrive all year in Spain, which is now the most popular route for migrants heading to Europe. But such is the political stalemate and sluggish processing of claims that on Monday, 54 people arrived in Lesbos but only 36 others were permitted to take the next step to mainland Greece. So Moria, built for 3,000 people, was overflowing with 7,356 inhabitants there last week. According to the United Nations, 11,278 refugees and migrants arrived in Greece by sea in the first five months of 2018. More than two-thirds are from Syria and Iraq, while women and children – largely under 12 years old – account for more than half these latest arrivals. Some people in Moria claimed first interviews in the asylum process were now being delayed until 2020. This piles despair on people who are often traumatised by experiences and then shocked when their illusions of European sanctuary are shattered. As representative for the camp’s 55 Guineans, this thoughtful, football-loving youth was aiding a teenager from Guinea’s capital, Conakry, who spoke softly as she told me her haunting story. She was orphaned at 13, then helped out of the country after an aunt tried to marry her to a man in his 40s who already had four wives. Flown to Iran, she was then trafficked to Turkey by a gang who raped her and three other girls so brutally that one killed herself. Now this girl, who did not wish to be named, was pregnant, traumatised, lonely and living in fear. I asked her if this was what she expected in Europe. ‘When a lady said she could help me get to Europe, I had no idea what it was,’ she replied. 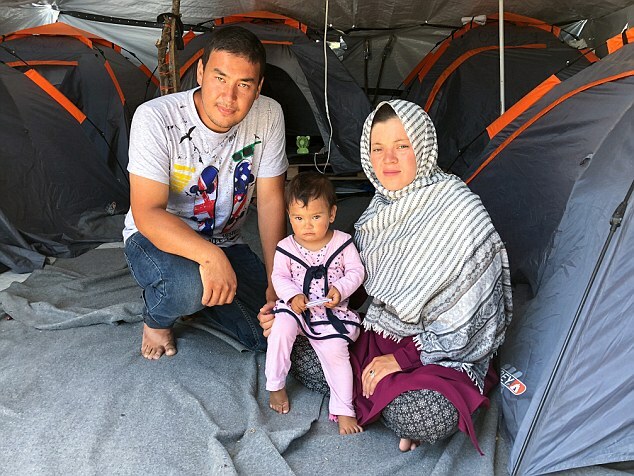 Alessandro Barberio, an Italian psychiatrist with MSF, was so dismayed by Moria’s scenes of despair and sense of hopelessness that he nearly quit after arriving earlier this year. His first case was a couple from Democratic Republic of Congo who had both been raped in front of each other by soldiers, who then stole their infant baby. They were psychotic, thinking they were still in Africa, and on the brink of killing themselves with knives. These harsh words were echoed by irate colleagues. ‘I have worked for MSF for many years but I’ve never seen something so frustrating. It is a political choice to keep people on this island,’ said Caroline Willemen, the group’s Lesbos field co-ordinator. I heard of Syrian children who played with stones, pretending to bomb houses, and others suffering nightmares, flashbacks and left mute by horrors they had seen. The only school is outside Moria, run by volunteers and staffed by teachers from among camp inhabitants. There are reportedly just 120 toilets and 75 showers on the crowded site, often leading to long queues. A series of reports have slammed conditions and ‘containment’ on Greek islands. Among them was one by the Danish Refugee Council on Moria last November, which found just one functioning toilet and insufficient water supplies while condemning ‘de facto detention’. Although Greece has been remarkably supportive of refugees in recent years, especially given its own financial collapse, the mood is clearly shifting among neighbours in Lesbos. In nearby Moria village – home to about 1,000 residents – there is fury over farm animals killed for food, homes broken into and fences smashed down for tent supports. Nikos Trakellis, the village president, recently went on a four-day hunger strike to publicise their plight. He said they have been repeatedly told numbers will be reduced, including pledges to close the camp last autumn, but instead the human tide keeps rising. Trakellis showed me a dossier filled with gruesome pictures of beheaded sheep, discarded foetuses and signs of home break-ins, saying that in the latest incident 500 olive trees were burned down. 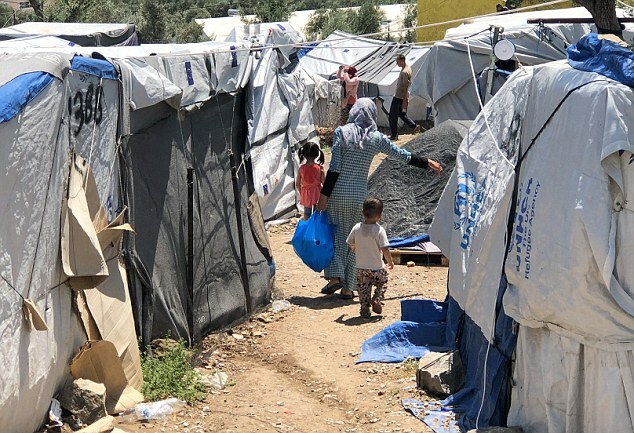 The European Commission insists it is doing its best to support the Greek authorities politically, financially and operationally to manage asylum and address concerns over conditions in the island reception centres. A spokeswoman said this included ‘unprecedented financial support topping €1.6 billion’ and technical assistance. ‘The Commission will continue to support Greece in improving conditions in Lesbos and the other islands,’ she said. This is the deterrent desired by most politicians and many voters. But human rights and aid groups question the morality of using shattered people from devastated places as pawns in political battles.